I have my father's side of the family to thank for my chocolate addiction. My grandma keeps May West in the freezer and Whippets in her bed side table, while my dad stashes mini dark chocolate bars throughout the house. I'd like to think one can never be too prepared for when a chocolate craving hits. Flavoured chocolate, however, has never really been my thing. I'll take plain (preferably dark) chocolate over the salted or orange zested kind any day. That is, until I came across the chili chocolate combo -- the perfect balance of flavours with a very subtle kick. 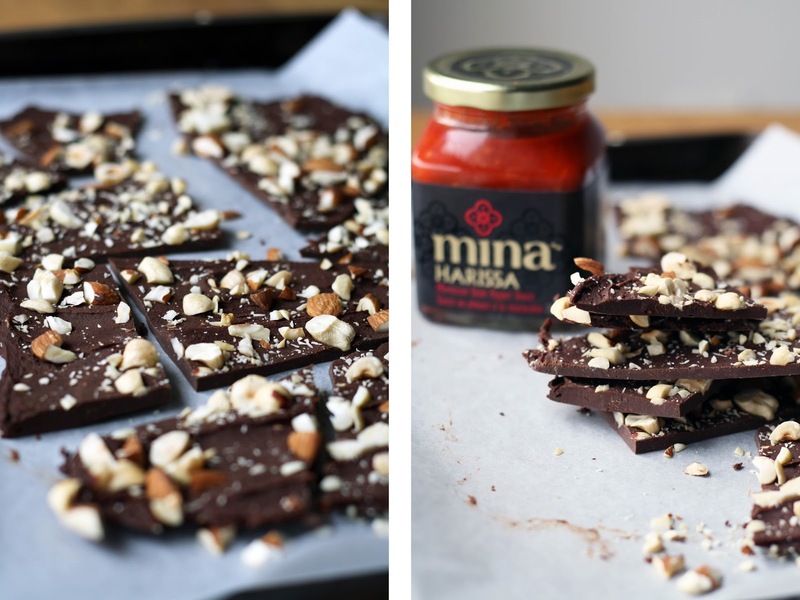 I may have Pinterest to blame, but when a box of Harissa arrived in the mail from the kind folks at Mina, I couldn't stop thinking about some sort of edible holiday gift. 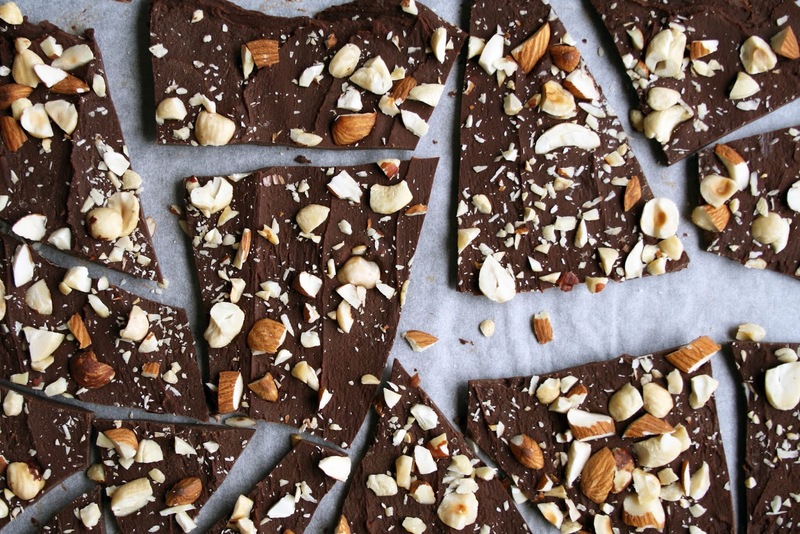 This bark is easy to make, holds a delicate heat from the harissa, an added crunch from the nuts, and is perfect to serve for an impromptu holiday gathering, or to wrap up as gifts. Happy December! This post was created in partnership with Mina - a modern Moroccan brand to complement any kitchen. Their line of Harissa's (red, mild and green) are perfect for all your spicy kitchen needs! 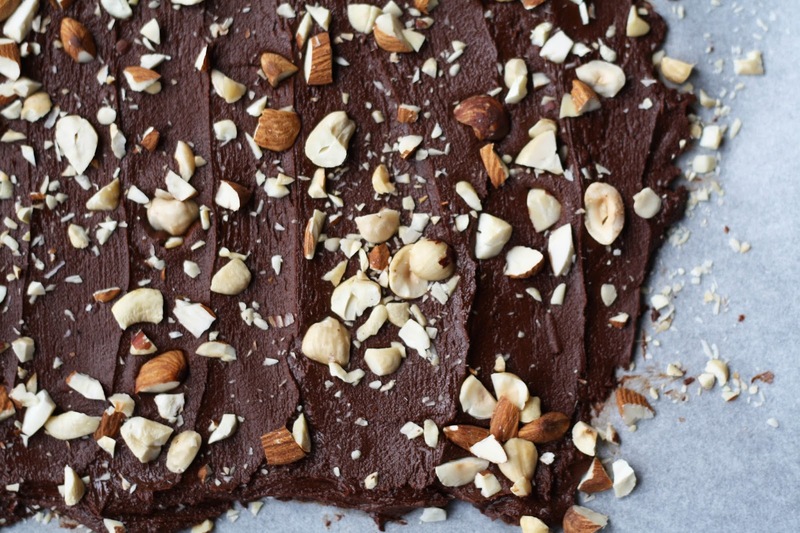 Line a baking sheet with parchment and prepare your nuts. To melt the chocolate, bring a small pot of water (filled halfway) to a slow boil over medium heat. Place the chopped chocolate in a heat proof bowl (or pot), and sit it comfortably over the boiling water. As the chocolate begins to melt, gently stir with a spatula (head here for some visual help). Once melted, remove from the heat and stir in the harissa and cinnamon. 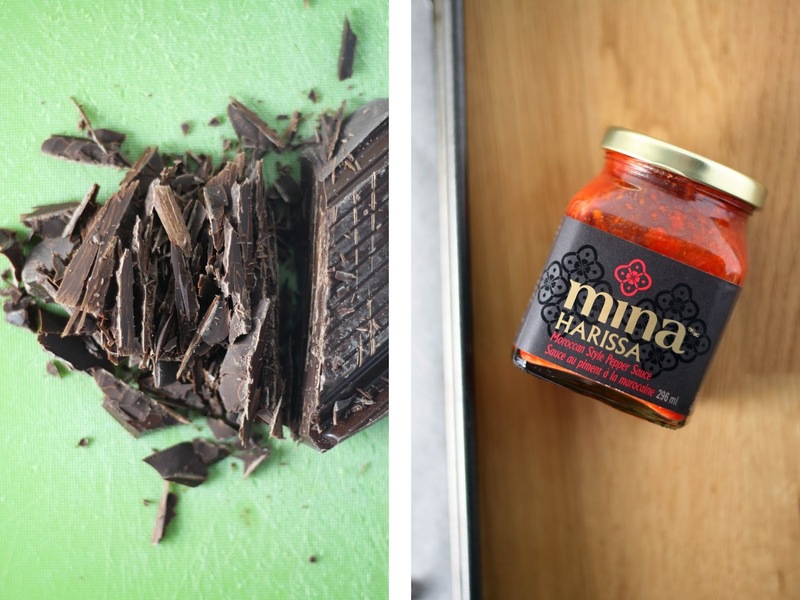 The harissa will cause the chocolate to firm up, so work quickly. 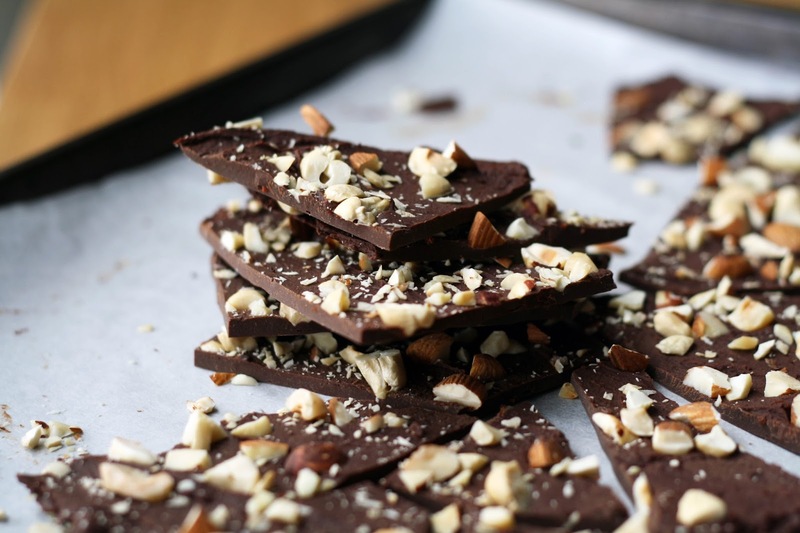 Transfer the chocolate to the baking sheet and spread evenly using a spatula -- aim for roughly 1/4" thickness. Allow the chocolate to set for 1 minute. Evenly sprinkle the nuts across the chocolate, and gently, using your hand, push the nuts into the soft chocolate (only enough so they set, and aren't just hanging out on top of the chocolate). Transfer to the fridge and allow to set for minimum 2 hours, ideally overnight. Once set, use a sharp knife to cut the bark into squares or shards. I chose to just use my hands to break it up - way more fun.